Wach of these mattresses have eco freiendly builds. The Cedar is all organic while the Nest is mostly natural but it still uses some poly foam in a transition layer and some lamination. But for you health conscience and eco friendly people either of these options could be a great choice for you. Like to sleep cool – The organic cotton quilt and natural latex layers do not hold heat. If you are a hot sleeper latex is a good choice. Its aerated for airflow and has less body hug, which ensures more of your body is exposed to the air. Kayla is typically always cold so heat was not an issue for her either. Want a Natural Mattress that’s good for side sleeping – The Cedar is softer than other natural latex mattresses we have tested. It uses medium density foam and the 2nd layer is grooved which allows the foam to give a little easier making it better for side sleeping. Want a good value – The natural mattress market is smaller and the Cedar is priced right where it should be. Its a fair price for the quality of build. Are a heavier sleeper – When compared to a 10″ mattress the Brentwood Beds are a good option if you are a heavier sleeper. You will not have issues bottoming out on this mattress. Are looking for a latex feel with good bounce – The Cedar uses latex and a pocketed coil unit which both help with bounce and less of a sinking/stuck feeling. 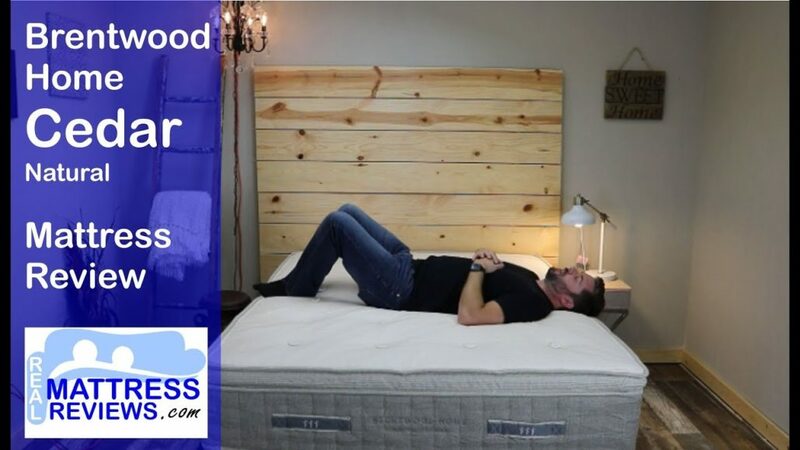 Are looking for a mattress to fit all sleeping positions – The Cedar is a good medium feel and it performed well for all of our sleeping position tests. 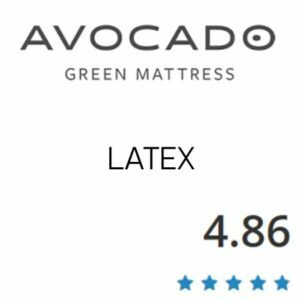 Many of the latex/natural mattresses we have tested have been firmer. This has a little softer feel which makes it the best natural option for side sleepers in our opinion. The key here is the fact that it is all natural. I really feel like the grooved 2nd layer helps give the latex a little extra give where sometimes latex to me is a little firm. The next key thing here is that this is button tufted, which hold the layers together better which also allows them to not use unnatural glues and lamination. 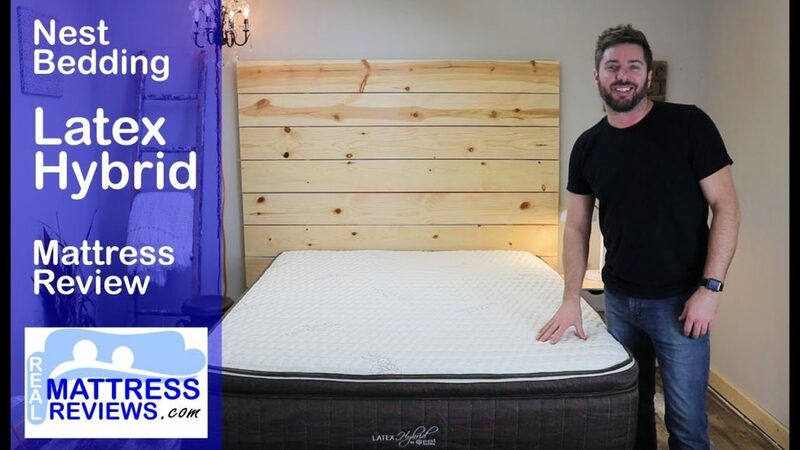 You want a good value for a THICK well built mattress– The Nest Bedding Latex Hybrid stacks up to many of the big box store brands you will find in stores but will save you money. Like to sleep cool – The design of the Nest disperses heat efficiently. 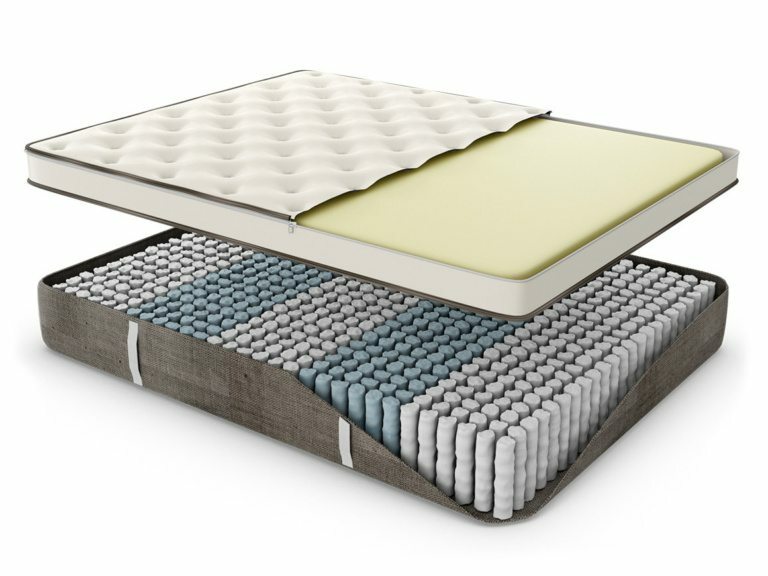 The quilting layers on top keep you from sleeping directly on the latex foam which can get warmer. Latex is one of the coolest foams & the foam is aerated and allows good airflow. In addition having coils vs a foam core helps to circulate air. Value a choice of firmness – Nest is not claiming that one mattress is “perfect for everyone” which makes total sense! Their double choice gives you options. Are a heavier sleeper – When compared to a 10″ mattress the Nest Beds are a good option if you are a heavier sleeper. You will not have issues bottoming out on this mattress. Like the combo of bounce and body conformance – having latex paired with coils makes it very east to move around on. The latex integrates well with the coils to give you a good combo of body conformance but without feeling “stuck”. Want good edge support – The Nest Bedding Latex Hybrid uses an edge to edge coil system that provides excellent edge support. Sitting and laying down the edge support does its job. I know a lot of people like the idea of latex but have just never tried it. Latex has several benefits, like sleeping cooler and lasting longer. The amazing thing on this mattress is the fact that you can change the latex firmness if needed and even to memory foam if you discover latex just wasn’t for you. Want a super soft mattress – Cedar is a medium to medium firm feel. If you prefer an extra soft mattress you will want to look elsewhere. Don’t like coil mattresses – If you are a foam mattress lover you may want to consider something with a foam core. Prefer a lot of body hug – Latex hybrid mattresses will tend to have more of a floating/sleeping o top of the mattress compared to a memory foam where you have more pronounced body hug. 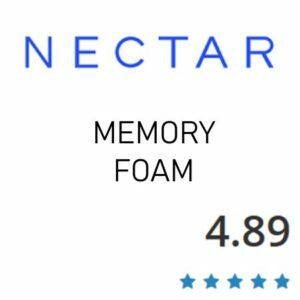 Prefer a foam mattress – Nest Bedding Latex Hybrid is made with coils and foam. So if you prefer all foam you can look into on of their all foam options. Most mattresses use synthetic padding to add support. Instead, we chose an all natural layer of flaxseed fibers to separate latex and coils. Forget foam bases – we chose an eco-friendly and sustainable layer of organic coconut husk. It’s usually discarded as waste, but we repurpose it for its circulation and antimicrobial properties. I sometimes have trouble with latex being a little firm for my liking, especially when side sleeping. I feel like the grooved layer of latex helps provide a little mroe give which helped soften it a bit and helped it become one of my favorite latex mattresses for side sleeping. The Cedar Mattress impressed me for the following reasons. A.) To me the overall build and quality was above average. The quantum coil unit is very good, its all natural and button tufted, which you see on high end mattresses. 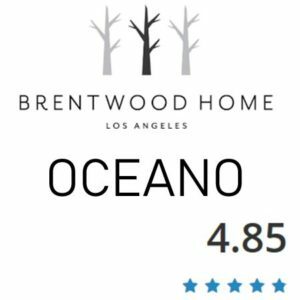 1st of all the Brentwood products we have tested have all be very nice. Much more impressive than so many of the 10″ foam mattresses. The mattress had a high end look and feel. Being that I help Ross move these around all the time the handles were a huge help for me. It performed exceptionally well for back and stomach sleeping and works for side sleeping too. If you are a light person side sleeping on latex will be tougher since its harder to sink into or pushes back a little more than memory foam. But as Ross said I think that’s one reason they grooved the 2nd layer of latex. I would recommend anyone looking to try a latex mattress or hybrid that’s not memory foam. I certainly like the Nest Bedding Latex Hybrid. 1st of all like most Nest products its a real, substantial mattress at 13″thick. The Quantum coil unit is a durable and great performing coil unit. The Latex Hybrid Mattress impressed me for the following reasons. A.) To me the overall build and quality is above average, like all of Nest Beddings products. B.) The top comfort layers slept very cool. Latex is great for that. C.) It worked well in all sleeping positions. Stomach sleepers may want to start with the firm. E.) Lifetime Warranty and Lifetime Comfort Guarantee make it an excellent choice. Nest Beddings products continue to be great quality and this one is no acceptation. I generally like a soft mattress so I sink in a bit more but it felt nice even though its not super soft. The mattress had a high end look and feel. I think buying online can be scary for some people but its so convenient they still want to try. Being that this mattress has the top latex layer that can be changed to something firmer or ever memory foam if needed is such a fabulous design. This should ease some customers worries about buying online. If you want to try latex and are worried about as well the fact that you could sub in a memory foam layer if it doesn’t work out is really great. I would recommend anyone to try this except if you really just don’t like hybrids. The Cedar slept very cool. Latex in general sleeps cool, it does not trap heat nearly as much as memory foam. The latex is also aerated so it has hold punched through which helps a lot with airflow. The grooved layer of latex adds even more space for air to flow. I would say anyone more concerned about heat than anything while mattresses shopping should consider a latex mattress for sure. The Nest Hybrid slept very cool. Latex in general sleeps cool, it does not trap heat nearly as much as memory foam. The latex is also aerated so it has hold punched through which helps a lot with airflow. The grooved layer of latex adds even more space for air to flow. I would say anyone more concerned about heat than anything while mattresses shopping should consider a latex mattress for sure. Being an all natural mattress you will not have any off gassing. I think sometimes people confuse this and think that any “smell” is “hazardous”. No matter which mattress you choose you will have some element of a “new mattress smell”. Being an nearly an all natural mattress you will not have much off gassing. I think sometimes people confuse this and think that any “smell” is “hazardous”. No matter which mattress you choose you will have some element of a “new mattress smell”. Both the Cedar & Nest Latex Hybrid will work great on an adjustable base. Discounts – Use our link Save 15% OFF with our link below & code MattressInsiders15 at checkout. Discounts – Save $50 with our link below & Coupon Code RealReviews50 at checkout! When choosing between these you need to consider the following. Is button tufting and being all natural something you value more or is having an exchangeable top layer more important to you? Quality wise I think they are the same. I like that Brentwood is button tufted but the Nest cannot do that since the top payer of foam needs to be able to come out. They both use the great Quantum Edge to Edge Coil unit which I hold a lot of trust in since I sell several beds in my store that use the same coil unit.